Make plans to join us as we kick off the Christmas season at the last Chamber Mixer of the year hosted by Plumas Bank, Thursday, December 6, 2018, located at 3000 Riverside Drive, Susanville, from 5:30 to 7:30pm. Food and a no-host bar will be available. Everyone is welcome to attend and we encourage you to bring a friend. Come join in the celebration and welcome the holiday season! Soroptimist International of Susanville annual See’s Candy Sales helps the organization to raise fund to support community projects and scholarships. Just in time for the holidays, Susanville Soroptimist See’s Candy can be purchased at the following community minded merchants: Susanville Supermarket, Margie’s Book Nook, Giovanna’s, Beauty Corral, and Plumas Bank. 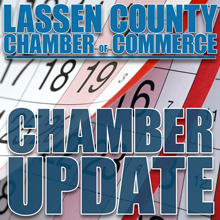 The Chamber board of directors is accepting applications to fill two board vacancies. If you are a Chamber member and are interested in applying to fill one of the board vacancies, stop by the Chamber office, located at 1516 Main Street, to pick up an application; deadline to apply is Monday, December 10th. 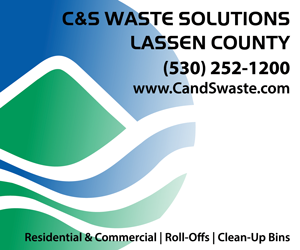 2019 Labor Law posters that feature the required federal and state notices on one poster will be ordered soon and available to Chamber members for $30.00 or/ non-member for $40.00 per poster. California businesses are required to post updated employment posters at each place of business. 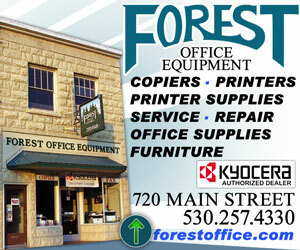 Contact the Chamber office at 257-4323 if you would like to have a poster ordered for your business. In rural Northern California, there is a need for dependable broadband to serve business, telehealth, distance education, economic/workforce development and emergency services communication. Geographical Information Center at CSU, Chico is doing a Business Broadband Survey and CalSPEED Internet Usage Study. In conjunction with the California Public Utilities Commission, the Geographical Information Center at CSU, Chico is collecting data from our region to prove the case that improved service is desperately needed, and to show that in some areas, businesses are not receiving the speeds that are advertised. By completing the Business Broadband Survey at https://www.necalbroadband.org you will confirm carrier information and helping provide a more accurate view of coverage in California. To check your internet speeds download the CalSPEED usage study at (https://www.necalbroadband.org/#calspeed). Posted by mcouso on . Filed under Chamber Update, Local & Regional News. You can follow any responses to this entry through the RSS 2.0. Both comments and pings are currently closed.